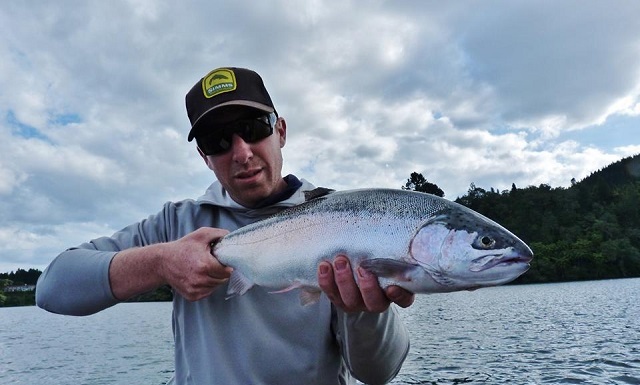 Rotorua Trout Guide is now offering boat fishing charters with the options of fly fish, jigging, trolling and harling on the beautiful lakes of the Rotorua District. We offer full day, half day and 3 hour boat fishing charter trips. The purpose built Quintrex Hornet Trophy is the perfect boat to experience the great fishing we have to offer on the Rotorua Lakes. The combination of a high quality Lowrance fish finder and also a Minn Kota electric motor are great assets to the fishing platform and revolutionising how we fish our local waters. 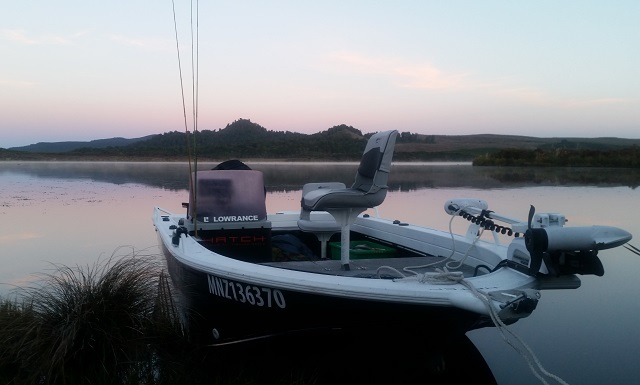 We are fortunate to have so many lakes in the Rotorua District, all with good boat fishing. 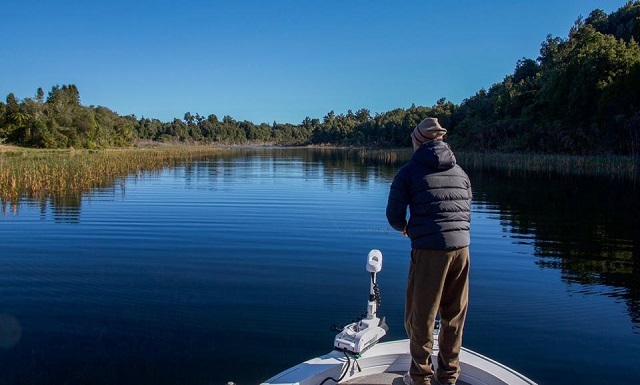 Central to the operation is Lake Rotorua, an excellent fishing lake holding high stocks of both brown and rainbow trout that can be caught in a variety of methods. Lake Rotorua is one of New Zealand most prolific lakes. During the peak summer mass congregations of trout are found around the cooler waters of the stream mouths and can be effectively caught from the boat. Lake Rotoiti is joined to Lake Rotorua is connected to Lake Rotorua through the Ohau Channel at the northern end of the lake. 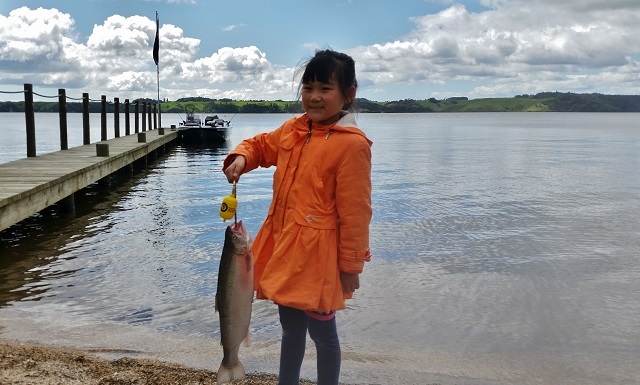 Lake Rotoiti is dependent on fish and game hatchery released fish with stocking rates of 28,000 juvenile trout every year. With abundant food supply the fish grow rapidly and the fisherman can expect quality catches of rainbow trout. 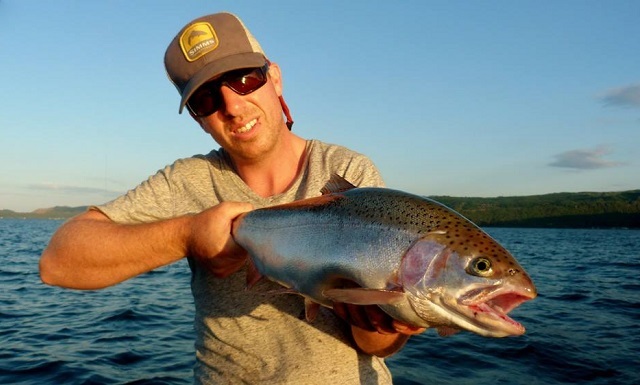 The preferred fishing methods on this lake are jigging and harling. This lake is the most productive lake of the Rotorua lakes in the peak jigging season (Nov-March). 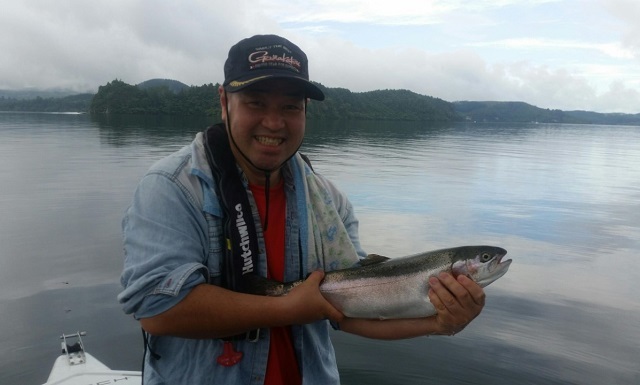 We also at times fish some of our other special lakes we have in the area including: Tarawera, Okataina, Rotoma, Rerewhakaaitu and Aniwhenua and a few other lakes further afield. 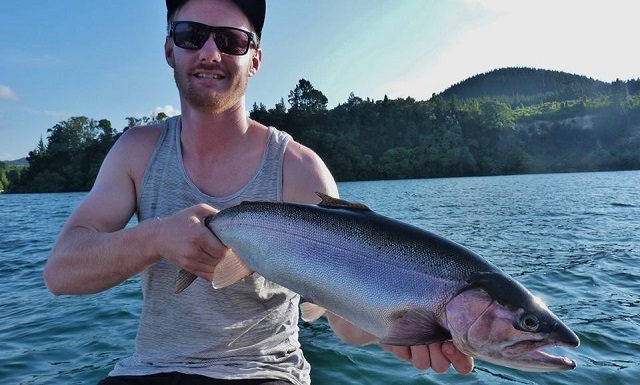 Rotorua boat fishing charters with Rotorua Trout Guide is a great way to experience the great trout fishing to be had in the Rotorua District, book now!